A repetitive dream that has been plaguing Kiya since she was young is about to become the least of her worries. When a mysterious boy appears and disappears outside her home, the reoccurring dream, along with her life, change drastically. She finally meets her elusive visitor and he reveals who she really is and why she’s destined to fight against a darkness threatening to consume everything. 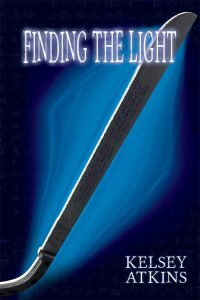 It isn’t until Kiya travels to the boy’s home that she discovers the reality of the darkness and the benefits of choosing the light. After the darkness begins to hunt her, she is faced with a choice to embrace her destiny or turn against it. She soon realizes, no matter her choice, the darkness is unrelenting, and her protectors may not be able to save her. Enter the world of the Finding the Light Series. Book one is now available. Click here to purchase your copy today! I can’t wait for the release of your first book! This is exciting! I’m looking forward to reading your book.